I’ve joined the cloche craze! This past Christmas I was able to pick up two glass cloches with twinkling fairy lights inside for an absolute bargain! The LED lights are removable and I have been excited to decorate with the cloche in new ways. 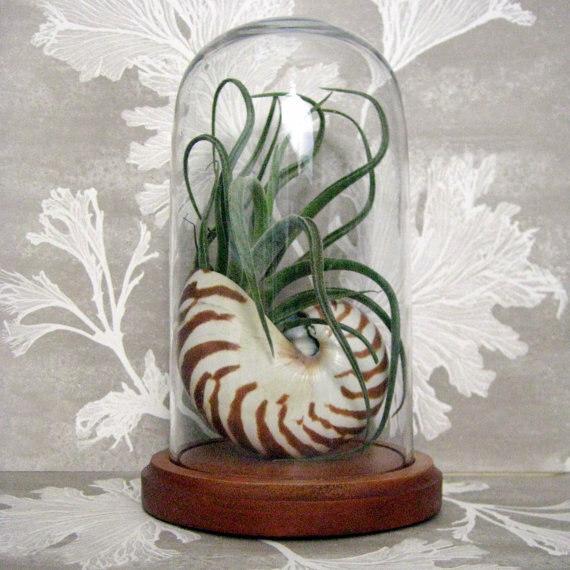 Anything placed under a cloche or glass bell jar suddenly becomes extra special. 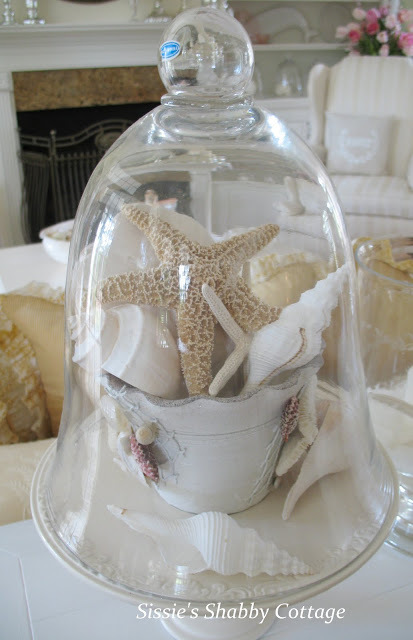 The weather might still be chilly but how about we dream of balmy breezes and sandy shores and explore a few Coastal Cloche Decor Ideas to bring a bit of summer inside! 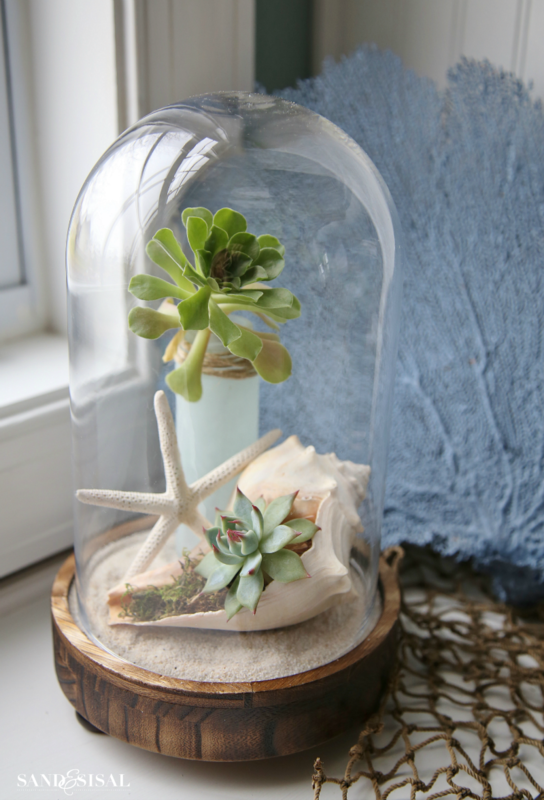 My first coastal cloche decor idea is tucking a few succulents inside a shell and a sea glass vase. The succulents will thrive in this beachy glass home. Be sure to read my guide on How to Grow Succulents if you’ve never tried to grow them before. 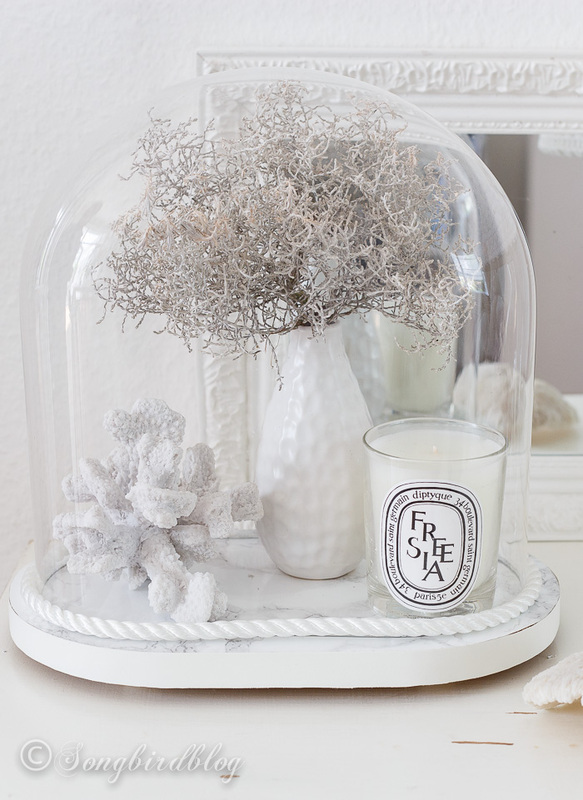 This white coral vignette is elegant and beautiful. Marianne shows how she made this cloche with a “marble” base and rope trim too. 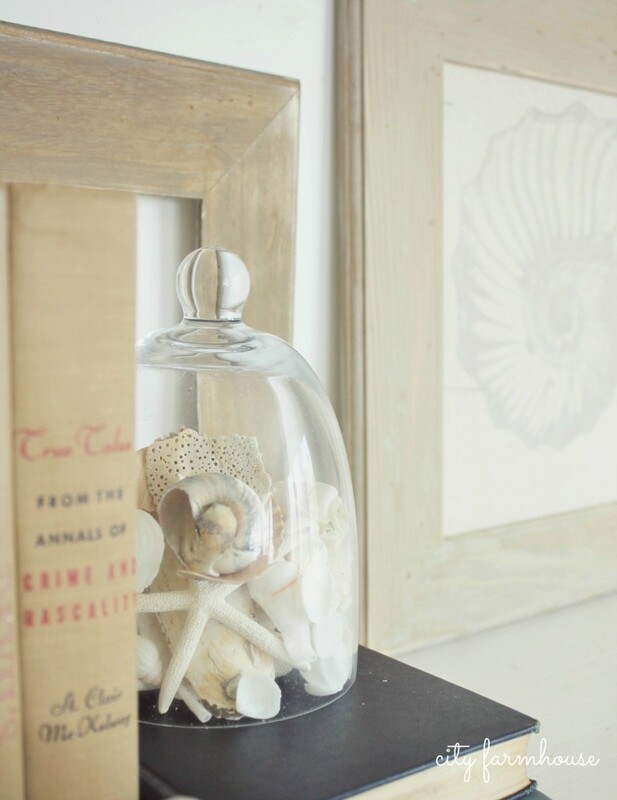 Fill the coastal cloche with your favorite collection of sea shells. For a coastal fall display, prop up white pumpkins and gourds and pair them with starfish and coral. 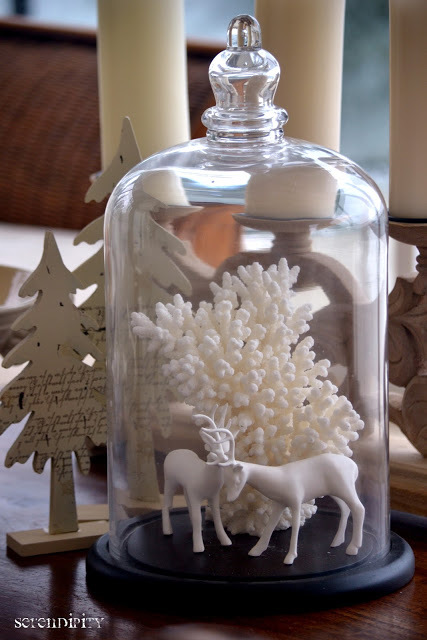 Create a coastal chic Christmas cloche of white coral and little porcelain reindeer. 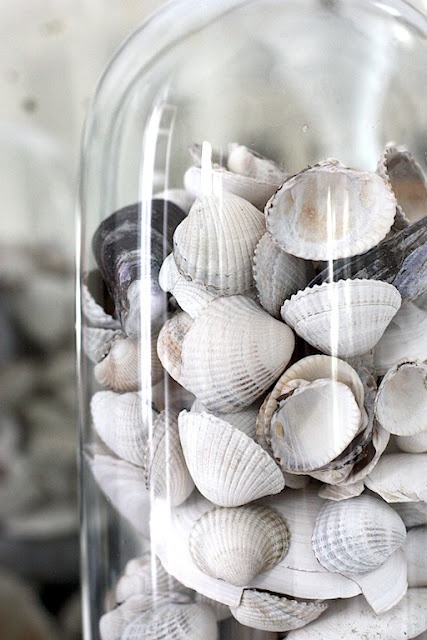 If you have buckets of shells from your beachcombing collections, then show them off in a simple yet strikingly pretty display. 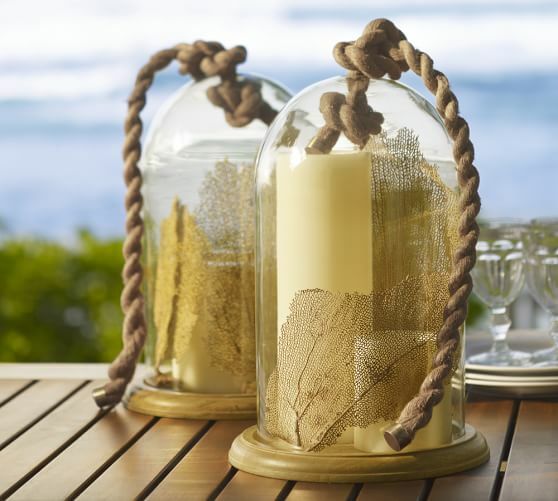 Light up the evening with LED pillar candles and delicate sea fans under a cloche. 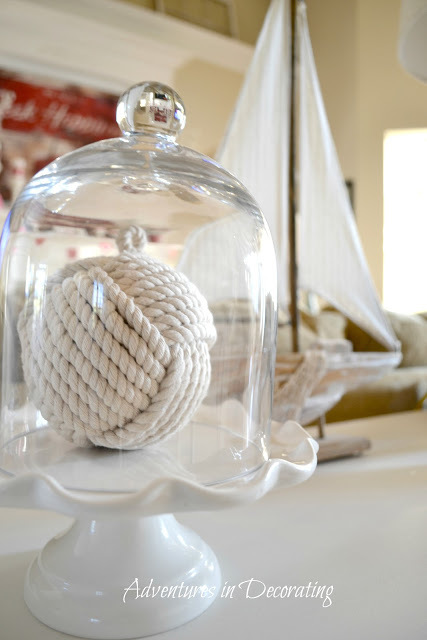 Make a nautical cloche display with a white monkey fist ball. This idea is one of my favorites! Remember those treasured moments at the beach. 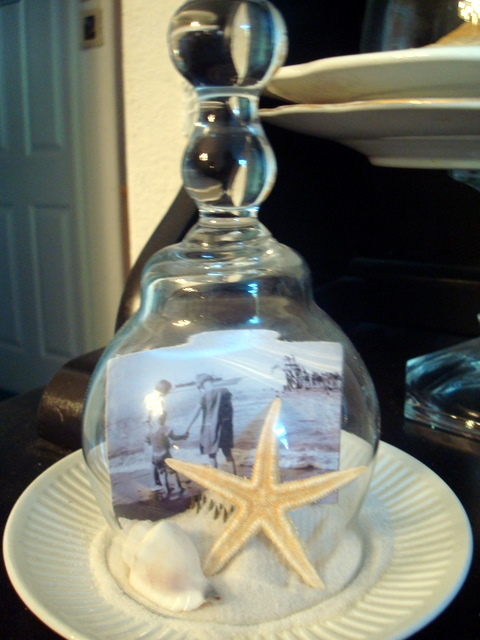 Place a vacation photo along with a handful of sand and shells from your trip inside a cloche. Thanks to your decorations I was at the seaside for a while, I felt the breeze and the sand under my bare feet:-) Shame we will still have to wait a few months for this to be real! 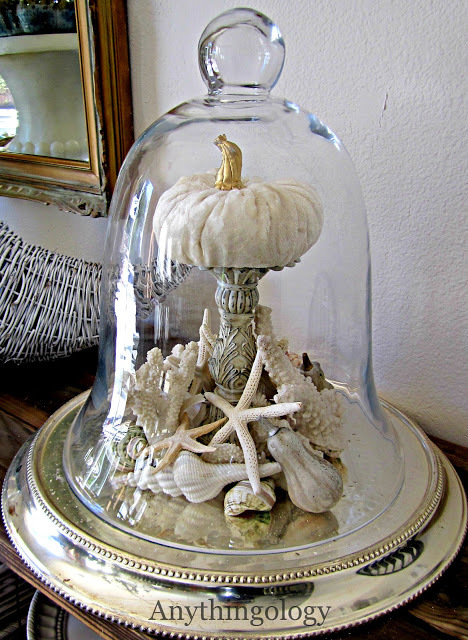 Inspiring photos, thank you, the French say that anything precious goes under a cloche, and I have one so I will be changing it often when we move to our new home by an estuary (building at moment), can’t wait to do my own ocean theme under my cloche. I used to have a pillow addiction…..then it moved to baskets……now, it’s the cloche! All of these ideas are so beautiful! Thanks for the inspiration — I love the versatility of this decor piece.